We get asked about the cost of wedding flowers a lot. First, relax! Albuquerque Floral can help you select the perfect flowers for your wedding, no matter what your budget. Wedding flowers are one of the most important visual elements of your wedding. They add elegance and style and display your unique personality. Everyone’s budget is different. Whether you want a simple bouquet or flowers to rival a royal wedding, Albuquerque Floral can help you select the perfect flowers for your wedding. 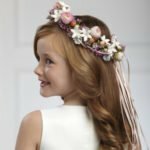 How Much are Wedding Flowers? Albuquerque Floral believes that your budget is a personal decision. In the Albuquerque, New Mexico area, wedding flowers costs range from $300 to $1,700, with the average price totaling around $650. This is much lower than the national average. According to WeddingWire, “the average couple pays $1,814 for their wedding flowers”. How Much is a Bride’s Bouquet? No matter how you choose to use flowers in your wedding, the bridal bouquet is universally the must. The theme of your wedding will inform the style of bouquet’s style. A formal evening wedding will demand a full, large bouquet, while an informal outdoor wedding will be best complemented by a loose, more natural arrangement. On average, bridal bouquets range from $100 – $500. 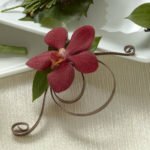 A boutonniere, the traditional compliment to the bridal bouquet, is another component in the personal flowers category. Boutonnieres are usually a single bloom, worn on the lapel, which matches the color and style of the bridal bouquet. Wedding party flowers round out the personal flower category and include flowers for the bridesmaids, groomsmen, flower girls and ring bearers, as well as family members in the wedding party (Think parent, grandparents here). 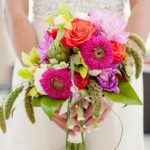 These flowers usually echo the color and style of the bridal bouquet, but can also contrast, depending on your taste. Bridal party flowers range in price, depending on the size of your wedding party, and the style of your wedding. 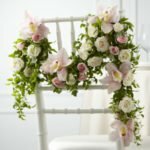 How Much are Ceremony Flowers? Whether your wedding is rustic and natural or dripping with elegance, ceremony flowers have the ability transform your venue. Ceremony flowers can be added to pews, perched atop large columns or urns, and even hung from the ceiling like chandeliers. Not only do these arrangements serve as decoration, they also set the tone for your ceremony, and provide a beautiful backdrop for your wedding photographs. How Much are Reception Flowers? Reception flowers continue the theme of your wedding, and provide focal points, directing guests to different areas of the reception area. Most people think of table centerpieces when they’re planning their reception flowers, but these flowers can also be used in different ways. Placing flowers in the entryway – both on the exterior and interior – will create a grand entrance and helps set the mood for the reception. Flowers can also be used to guide guests to the welcome table, to the buffet or bar, and are often used to decorate the cake table. Reception flowers also include the bride’s tossing bouquet, which is usually a smaller version of the bridal bouquet. Pricing for reception flowers can vary, depending on the size of the venue and the types of flowers used. Planning for your wedding can be an overwhelming and stressful experience. The wedding specialists at Albuquerque Floral will walk you through each step of the floral design and selection process. Weddings should be a time of joy and celebration – this is your moment and we want you to enjoy it. 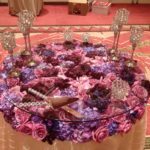 The best part is, the wedding professionals at Albuquerque, by Albuquerque Florist, will help you make the most of your budget. For more information and free resources, be sure to see our Wedding Flower Checklist and Wedding Flower Prices and Samples.